Parke is an attorney, MBA, Relativity Certified Administrator (RCA), and Certified E-Discovery Specialist (CEDS) with 10 years of legal industry experience, 7 years of eDiscovery experience, and 3 years of eDiscovery Project Manager experience. He is currently the Managing Director of the Mid-Atlantic Region for Complete Discovery Source where he oversees all operations in that region. 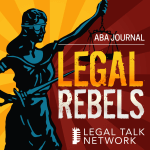 This podcast from 2017 Annual Florida Bar Convention discusses electronic discovery and digital evidence.